Oh. My. God. As soon I finished reading the very last sentence before the epilogue I sat in my room whispering "Stop. Stop. STOP. Stop. Stop stop stop stop stop. Stop. S t o p," to myself over and over again in varying speeds and intonations until I could compose myself enough to go on. I had a few of those outbursts throughout the 668 pages. I don't even know where to start with this book. I think I'm going to have to do a non-spoilery half and a spoilery half because I truly have so many screams to let out. Okay. I'm breathing. Non-spoilers. Let's go. So I got the book on the 8th when it came out but I was traveling and all that fun stuff until the 19th which took up a lot of time as it tends to so while I did read about half of it during my trip, I read the other half the night after I came back and I stayed up until 7am finishing it and then I couldn't sleep because my body was just screaming from the entire book and all that happened. I feel like I just need to add some exclamation marks here I think they belong here: !!!!!!!!!!!!! So, I do think if you have not read The Mortal Instruments and The Infernal Devices you should definitely read those first, not just because the characters pop in/are referenced but because we jump straight into the Shadowhunting world unlike the other two series where there are characters who are used to introduce us to it. The book doesn't totally operate on the assumption that someone already knows how the world works and there are definitely elaborations but they're pretty minimal compared to the world-building that's done in the previous books. Also, Emma and Julian are introduced in TMI and a lot of Lady Midnight's plot centers around repercussions of things that happened in the Dark War at the end of TMI. Basically, it's easier to know the backstory. Anyway, I think even if I wasn't traveling, I wouldn't have read the first half of the book all in one go because it honestly just really hurt to read. Like, Cassandra Clare did such an amazing job with the actual writing that just reading the descriptions of things like parabatai bonds and of love were just so eloquent and powerful that I needed to read them in doses because it was a lot for my heart to handle. I mean, the whole book was a lot for my heart to handle but once the eloquent inner monologues started to get more frequently dispersed with ~~things happening~~ I found that I could read more (although then I wanted to just read a whole book of eloquent inner monologue but ya know). And I was so sure I wasn't going to like it as much as The Infernal Devices (because honestly warlocks and Victorian England who can beat that???) but it was honestly just so. good. and so well written that I think they are rivaling one another. Something I really liked was that the writing was beautiful without sacrificing plot just to draw focus on purple prose or anything. 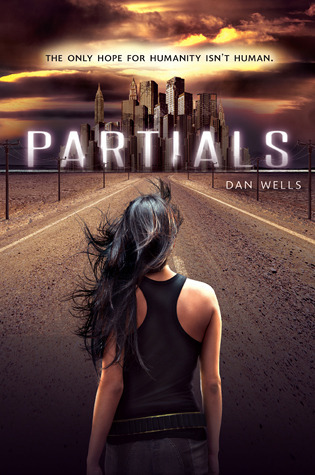 They had a great balance and I found myself equally enthralled by where the story took the characters and by what they had to say (or think) about it. Also, I don't know about other people who might be more astute than I am, but I personally didn't see the big plot reveals coming, but it's not like they were just thrown in for shock factor because once you do find out, pieces of foreshadowing from the beginning of the book come forward in your mind. Also, I loved all the characters. Even the ones I hated, I loved the way they were written. I could do a whole dissertation on the characters so I'm going to try to keep this as short as possible because I've already started rambling. Anyway, I feel like Julian and Emma are who we got the most perspective from and it was so jarring to see how differently they thought but how well they worked as parabatai. Also my heart broke over and over again at their entire existences -- Julian having to raise his siblings since we was 12, Emma feeling like the only thing she has is revenge and physical strength, their deep unrelenting love. Also, while we're on Blackthorns, I thought the younger siblings had just enough screen time (page time?) that they were fleshed out and relevant without being so overly focused on that it gave us too many people to keep up with. I especially loved Ty, who sees the world so differently and is so smart and is just the best. I think the descriptions of his behaviors line up with Autism or Asperger's but I'm not a doctor so I don't know if that's what she was going for, since these things don't have names in the Shadowhunter world really so none of them ever said he had some specific ~~thing~~. Also, still on Blackthorns: Mark Blackthorn. God. I could say so much. Honestly, I loved him and I loved his mannerisms and I was so interested to explore the half-Shadowhunter-half-faerie narrative where he isn't like "ok I'm gonna be a Shadowhunter because I can take Marks and pretend I don't have another half of a species in my blood" and really is attuned to his faerie side. Okay, I said this would be short and it is definitely not short so the last character I'm going to mention in Cristina. Actually, before that, I want to mention that we have a new warlock in this book! What! He's blonde and spacey and likes romcoms and is friends with Magnus, who we get to see pop in a little. Okay, anyway, so Cristina is literally an angel. (No she's literally a Shadowhunter fine) She's smart and cute and is in LA for her travel year away from her institute in Mexico. She's the Best Girl Friend Emma needs, and you probably need. And the lil moments when she gets sad melted my entire being into mush. I can't believe I managed to write this much in a non-spoiler section because when I finished the book I felt like the only things I could say about it were to people who already read it, but it's been a little while and I've cooled down (no I haven't) and let's be real, when do I ever shut up enough to be succinct. My point being: I was going to do a spoiler section but I changed my mind, but if you did read the book and you want to scream about spoilery things with me, hit me up using any of the social media buttons on the right (okay don't message me about book spoilers on LinkedIn but I'll reply to you everywhere else) and we will talk and it'll be rad. On an end note, I thought everything about this book was so artfully done. From the use and incorporation of the poem "Annabel Lee" to the dialogue that felt so real and natural to the fact that it was a lowkey murder mystery sitch to the heavy exploration of faeries and their customs, the whole book was phenomenal and I'll let you know how many times I reread it when I post a review in a year for the next book. P.S: Sorry if this seems disjointed, but I myself am disjointed. Also I have so much to say that I can't say it all and trying to coherently get portions of it out is not an easy task. 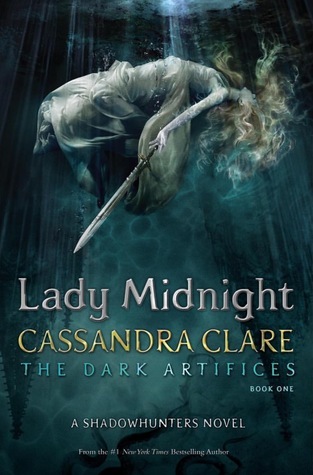 Like I mentioned earlier, all those social media links are up to date so if you wanna talk about Lady Midnight with me I'm here for it. Have you ever gone after something you weren't supposed to? Most recent 5 star reads! Admittedly, some of these aren't that recent since I took a few months off from reading (what a mistake). Also, some of these may be 4.5 star reads but close enough - I didn't want to go even farther back. Tell Me Three Things is easily one of my favorite books of all time. When I got it at Yallfest, I had no idea how much I would grow to love it. The main character is so relatable, and Julie Buxbaum's writing style is so wonderful - she has this way of writing where some of the lines just cut right into you. I seriously can't wait to review this and tell everyone exactly how awesome it is. 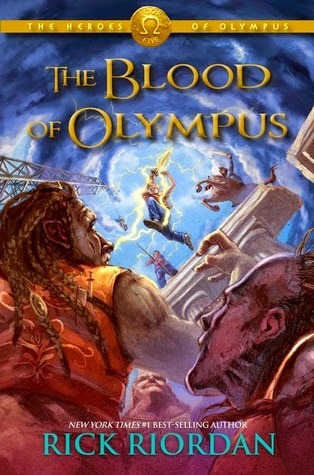 The Blood of Olympus was the first full book I read when I returned to reading. 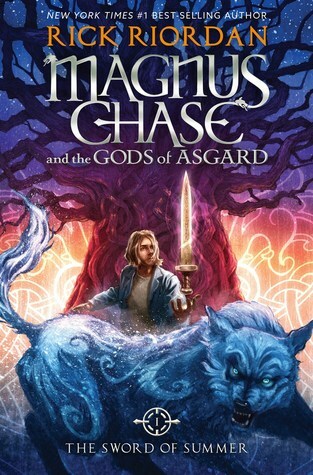 Having loved all the previous books in The Heroes of Olympus series, I knew I would love this one as well. Although I wasn't thrilled with everything in this book (check out my review for details), I still really loved it. It was so bittersweet for these characters' journeys to come to an end, but it was so wonderful. 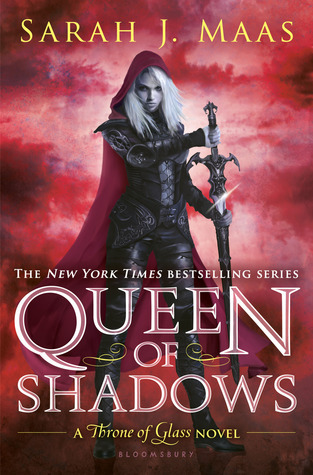 I feel a lot of shame about the fact that I read half of Queen of Shadows during my winter break, then waited two and a half months to finish it. It's like that time I read Heir of Fire and it took me an entire semester. I am the worst. I swear I'll read the next Throne of Glass book in an appropriate amount of time because honestly, it deserves to be read with full attention because it's so good. After loving Compulsion, I was so excited to read Persuasion. This was a solid second book in the series and I'm really excited to see what Martina Boone has in store for the next book Illusion. Check out my review for my extended thoughts on this one! I haven't written a review for this one yet, but it was really great! I loved the magical quality of the writing and the way the plot came to be. There were a lot of elements happening within this book, but the romance stood out the most to me, and it devoured me. It was a beautiful story, and I highly recommend it! Like Kiersten, I'm including 4.5 stars but I'd round them up to 5 on Goodreads anyway so it's fine everything is cool we are all good here. Stay tuned for a review some time this week for the first book in Cassandra Clare's new series, which was unsurprisingly heartbreaking, beautiful, and all around scream-worthy. I seriously can't get over how much it went above and beyond my expectations (which were pretty high to begin with) and totally just ruined my entire life. I will elaborate in my full review, just give me some time to get my bearings. I thought this was going to be a cute and lighthearted book when I picked it up because I honestly hadn't heard much about the content, only that it was about ~siblings~ and that it was good, but then I read it and it was so much more than I was expecting (in a good way). 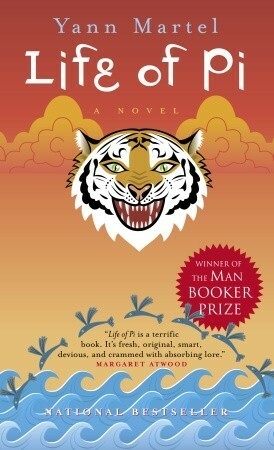 I want to review this book too so I won't go into hella detail but it was beautifully written and a truly great story. Okay, I know this review is from October but I swear I've read more books since then, they just haven't all been 5 star books and I am committed to giving you an accurate list! Anyway, if you look at my review you will know my full thoughts but I thought it was a very funny, very entertaining book. And now we are in September. I talked about this book in my last TTT as well and how I loved the surreal writing style and how it meshed with the actual content, so I'm not sorry that I'm bringing this book up again because it really is great. I reviewed it if you want to know more, but if you think you'd be up for a book that isn't totally straightforward, I would go for this one! And now we're back to October except now that I'm writing it I remember it was actually late September, which makes me think I don't actually know the timeline in which I've read things all that well but let's just carry on anyway. So this series is my favorite non-Harry-Potter series and I was so so so excited for the final installment to come out and definitely did not disappoint. 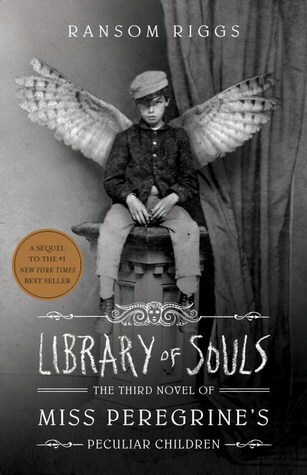 It was the right amount of creepy and riveting and I can't wait for more work from Ransom Riggs in the future. What are your most recent 5 star reads? Thanks to Disney-Hyperion for the eARC I received via Netgalley! I am so sad to be writing this review right now. So sad. 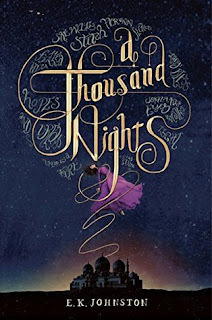 I had really high hopes for A Thousand Nights - the cover is absolutely gorgeous, and the premise sounded really interesting. However, this one just fell flat, and for the first time ever with a book I wasn't required to read for school, I had to DNF it at 30%. 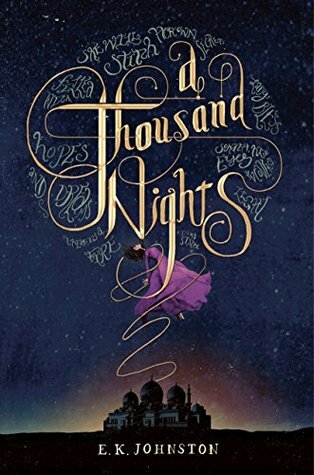 A Thousand Nights started off really strong. At the beginning of the book, I was really drawn in by the writing style - it has this folklore feeling to it that feels like magic on a page. The way Johnston sets up the story really draws the reader in and establishes the world quickly. However, after multiple chapters of this style, it started to lose its magic and felt like it was dragging along. There were moments where it seemed like something promising was going to happen, but ultimately, it mostly put me to sleep. Part of me really wishes I could keep reading this - I'm intrigued by the magical elements of the plot that were set up thus far - but having just come back from not reading for several months, reading this book is kind of a chore. I'm sure there are people out there that are mesmerized by the style and continue reading, but unfortunately, it just fell flat for me. This book took me an entire month to read because it was just so boring. Like, when you boil it down, it was just so hard to get through because every time I thought about picking it up I would be like "or maybe I could not do that" and then I would go and do a different, more fun thing. 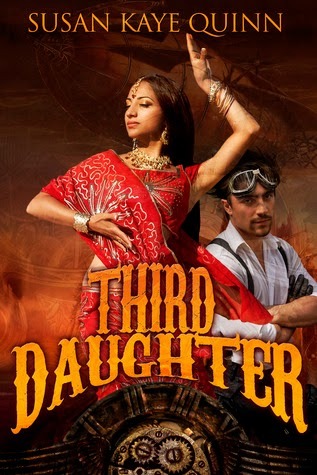 I so desperately wanted to like it too, because I'm such a huge fan of retellings and 1001 Nights is so vast that Johnston could have done so much with it, truly. I just think it missed the mark. I actually really liked the beginning of the book and so when I first started reading I thought it was going to be a nice, fun time. 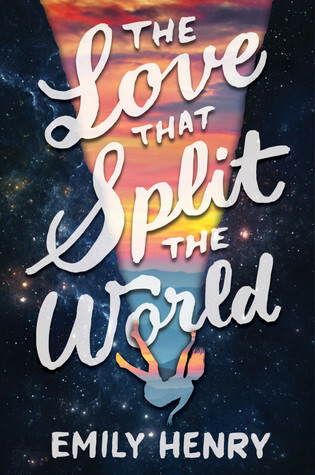 The writing style was super eloquent and kindof lilting -- it felt like the descriptions were being elegantly draped over me and I think if the prose weren't written the way it were, I couldn't have finished the book. Anyway, that's really my main positive for the book, that it's written well in terms of actual writing prowess, but I feel like Johnston spent so much time focusing on the prose that she neglected the story itself. 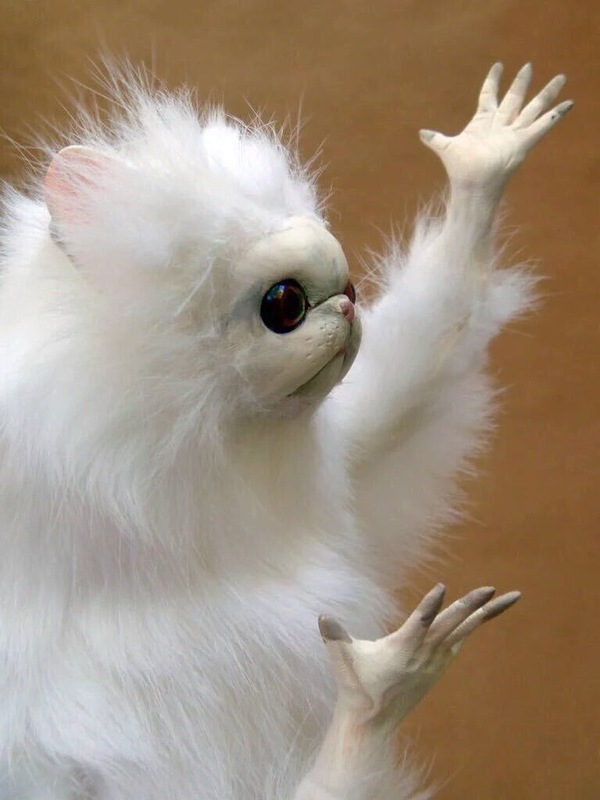 You can't just have pretty writing for a whole book with no substance, it gets old after like 50 pages when you realize nothing is going to happen!!! Anyway, the entire book I kept waiting for things to happen and nothing was happening. It was so stressful, honestly, because sometimes things would get teased at happening but then they wouldn't happen. Like, home girl has some magic going on in her system, right? That's not a spoiler, you know that from the back cover. And I was waiting for this facet of her being to be explored, to see what was special about her, but all I got were small little fragments. An instance of Psychic Embroidery here, a flash of sparks from her hands there. There was no exploration. The whole book felt like some kind of limbo. I wasn't sure if I was going towards a Big Important Plot Thing or if this was a relevant scene or if the "I volunteer as tribute" scene in the beginning was the biggest thing that was gonna happen -- it was a lot of waiting and very little actually happening. You could skip entire sections probably and not miss anything. Probably 3/4 of the book had zero plot development or real content and then Relevant Things happen in like this very concentrated chunk of the end and then there's like the resolution where you tie up the ends and everything and honestly I didn't think the climax was worth suffering through the whole book for. Like it goes from 0-100 and I just was not here for that 100. It felt more like a 65 to be honest. Also, did you notice I haven't named the protagonist in this review? That's because she has no name!! NO ONE in this book other than Lo-Melkhiin, the evil rapey demon king, has a name. At first I thought it was ~~fun and unique~~ but it got so painful to read as she kept going because she constantly wanted to wax poetic on members of her family but had no real names to call them by so you would get pages of her talking about "my father's father's father" and "my sister's mother" and "my sister's brother" and "my married brother." Imagine an entire full-length anecdote where the "hero" you're telling it about is consistently referred to as "my father's father's father." I know they apparently live in a time period where years aren't a thing and they measure age in summers so I guess language is still developing but you would think they'd have terms for grandparents???? It just got really redundant and it made the characters really unmemorable. I was unsatisfied and a little uncomfortable with the ending and I didn't think it was worth plowing through so much nothing for that little bit of action (and disappointing conclusion). The narrator didn't really have much personality beyond "loves her sister." The pretty writing was not enough to distract from the fact that there was no real content. There are so many ways to draw from 1001 Nights and I think it didn't deliver on the way it attempted. The cover is still pretty and I still appreciate it. Have you wrongly judged a book by its cover? Thanks to Penguin Group Berkley for the eARC I received via Netgalley! It has taken me a long time to write this review, mostly because I was dreading it. 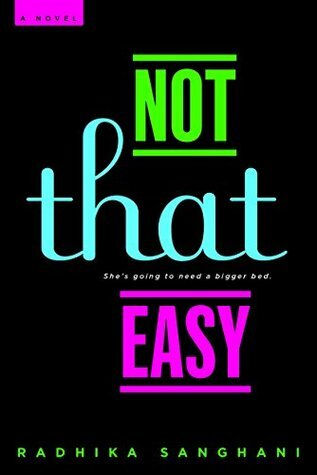 I had high hopes for Not That Easy after thoroughly enjoying Virgin. However, while Virgin had a lot of humor, feeling like an episode of MTV's Awkward., Not That Easy was kind of sad and cringe-worthy. In Virgin, Ellie is a 21-year-old university student trying to lose her virginity. Now in Not That Easy, Ellie is determined to go through her "slutty phase." While there is absolutely no problem with her taking control of her sexuality, it kind of felt more like desperation and seeking validation through something she couldn't even really control. She actually writes a column for an online magazine about her embarrassing sexual experiences, which wouldn't be terrible except for that it was for an unpaid internship. Seriously. Girl sold herself to her job for free. Throughout Not That Easy, Ellie ends up losing her sense of self, eventually making huge mistakes that she really regrets. Despite these mistakes, I think the worst part about it is that at the end, it doesn't feel as though Ellie has changed or learned all that much. Another thing that bothered me was that at some points it felt like the book turned into a Cosmo article. 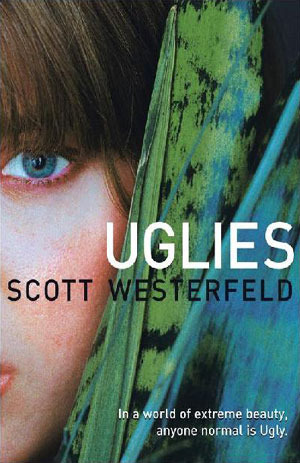 Obviously this book was about a 22-year-old exploring her sexuality, but it was very graphic and kind of uncomfortable at times. Additionally, Ellie was really shallow and it made it a lot harder to sympathize with her. Overall, I really wanted to enjoy Not That Easy - I was hoping for all the humor from Virgin - but in the end, it missed the mark for me. Perhaps it's just for people of a different sort of humor than myself. What sequel were you excited for but ended up disappointed by? Thanks to Simon Pulse for the eARC I received via Edelweiss! After reading Compulsion a while back (review here), I was anxiously awaiting the next book in the series, Persuasion. 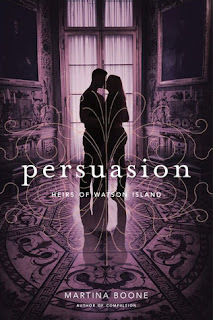 Admittedly, it took me longer than I wanted to get around to reading this book, and even longer for me to write this review, but all in all, I'd say Persuasion was a solid second book in this series and definitely worth the wait! After the events of Compulsion and a trip to San Francisco, Persuasion picks up on Barrie trying to navigate event more of the strange magic of Watson Island. While Compulsion spent a lot of time on the mystery of her ancestors and the Watson gift, Persuasion continued to expand on the history of the magic, diving more into the Beaufort gift as well as the Colesworth curse. The addition of Obadiah and his unique magic was also really great. The magical element in the plot of Compulsion is one of the things I loved the most about it, and it was great to get even more of that in Persuasion. While the character building was really great in Compulsion, Martina Boone went even farther in Persuasion, incorporating more relationship building between all of the different characters. Barrie's relationships with Eight, Pru, Cassie, and Seven were really put up for examination in this book, showing Barrie's continued growth into this new life. Additionally, there was even more about the Beaufort and Colesworth family dynamics, which added more to the way Eight and Cassie are understood. Overall, I'd say Persuasion is a little bit slower than Compulsion in terms of action, but it did a great deal to delve deeper into the magical history of Watson Island and set up what will happen next. 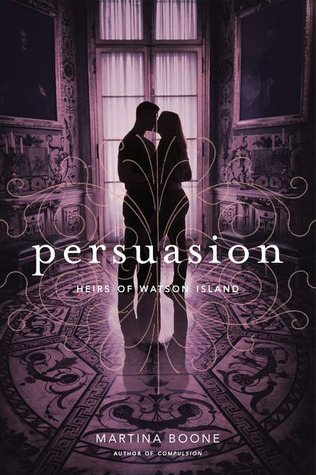 Persuasion was definitely a satisfying second book in The Heirs of Watson Island series, and I can't wait to see what Martina Boone has in store for Illusion! Would you rather be able to find lost things or sense other people's desires? Books I really love but feel like I haven't talk about enough / in a while! I feel like every book I like fits into the haven't talked about in a while portion, particularly since I disappeared from blogging a few months ago and are just getting back into it now. So here they are, although I feel like I talk about these books a lot. I actually never want to stop mentioning that I love this book. 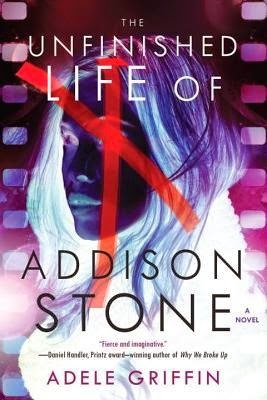 I didn't know what to expect when I picked up The Unfinished Life of Addison Stone. To be completely honest, I didn't think it looked very good, and I only started reading it because I got an ARC at BEA and none of the other bloggers wanted to read it. What I found once I started reading it, however, was that it was so utterly and completely compelling. I wanted to know Addison Stone, and I felt like the world lost something when she died, which is silly considering she is a fictional character. Anyway, I could go on, but you can just check out my review instead. 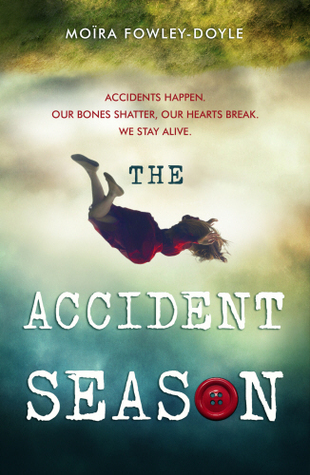 In contrast to above, I was actually really excited about reading The Accident Season. From the cover to the blurb I read, it looked so good. And it was. It was beautiful and chilling and just wonderful. I could not stop turning the pages, yearning for more. 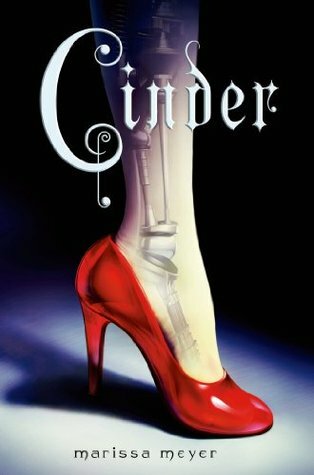 This book was a lot of things, and honestly, I can't really explain it without ruining the magic, but I tried in my review. 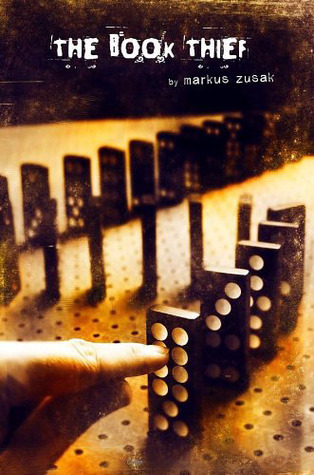 This book is definitely a must read. 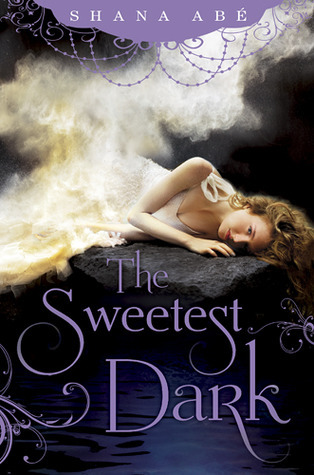 The Sweetest Dark was the first advanced copy I ever received - it was before I started blogging, through a Goodreads giveaway. I probably would have never read this book if I hadn't won that giveaway - it would most likely still be sitting on my TBR with a bunch of other books that I don't remember adding; however, as chance would have it, I got this book and absolutely loved it. AND it ended up being one of the first reviews on WLABB! 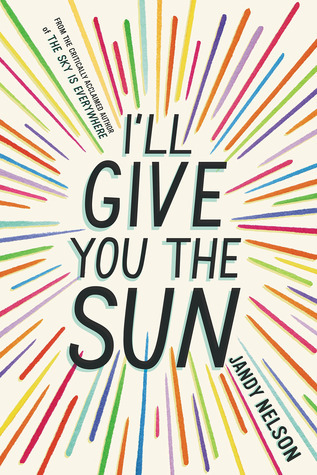 While my cobloggers did not like this book as much as I did, I absolutely loved it. The story is told in such an interesting way, shifting in the timeline from before to after the accident, ending with when the accident happened. The main character is a mean girl, but the way Amy Zhang showed how even people who seem like they have it all can be unhappy was absolutely beautiful. Check out more of my thoughts in my review (mine is the second one)! I don't think I can say enough times that I absolutely love Susan Kaye Quinn. SKQ is an indie author, but she was also a rocket scientist - A REAL ROCKET SCIENTIST!!! She's so cool, and I think her books are absolutely amazing and everyone needs to know about her. I really enjoyed her Mindjack series, which is how I first found her, and although I haven't completely the series yet, Third Daughter was absolutely amazing! Check out my review for more of my thoughts. Okay, so this is cheating a little because on a scale of one to never I do talk about how I love The Book Thief frequently enough. However, I think I'm fair to include it because I feel like I'm always mentioning it casually like "Hey I really love this book you should read it" which really doesn't encompass how much the book really dug itself a space in my soul. I don't think I can ever really talk about it enough in a way that'll express the effect each line had, which is why it's one of those books I appreciate with a quiet reverence instead of always screaming about it. This one is actually a book I haven't spoken about in ages (I had to try really hard not to say eons so please appreciate this). I read the duology in 2012 (I think) and I was captivated. 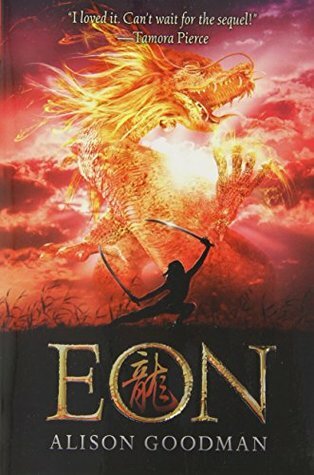 The book tells the story of Eon, who is training to study dragon magic, except Eon is actually Eona (a GIRL, GASP) and girls are Not Allowed to do dragon magic and it is all very wild. I was super into all the world-building and the different cultures Goodman researched to put these books together and of course, my favorite animals, dragons!!!!! I don't really know why I don't scream about these books more but my 16 year old self remembers them being rad so if you trust her, you should read them. 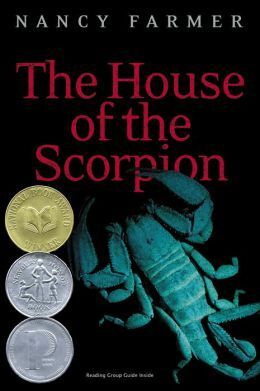 I never really discussed this book too much after our review of it but it always stayed with me. It was partly the huge personal growth that happened, partly the way this book was just so focused on the friend-relationships, partly the effortless characterization that had me rooting for Emily (the protagonist). 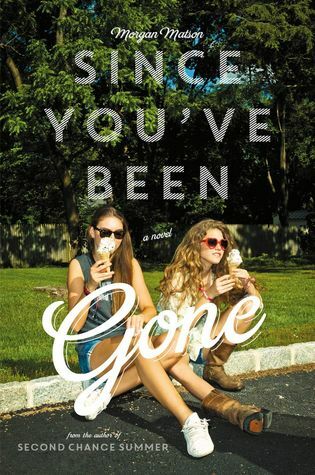 There was just something about the book that made it feel deeply intimate and relatable even though I have definitely not had a best friend who I have an unhealthy dependency on disappear for the summer and leave me a list of weird things to do so like I probably shouldn't relate to it too much. 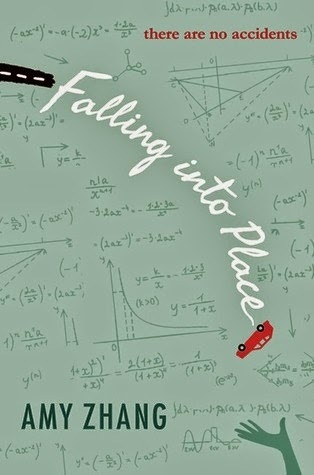 I read and reviewed this about six months ago and although I did recommend it more than zero times, I think for the amount of wedging the book has done into my soul, it has not been enough. The book is just really bizarre and surreal and 100% a love-it-or-hate-it piece, so a lot of the time when people are like "hey recommend me so-and-so kind of book to read" it isn't the first one I suggest. But I truly do love it; remember that last sentence I said about The Book Thief? This is the same thing. I talked about Life of Pi a lot when the movie was relevant and everyone was always asking "Wow have you seen Life of Pi!!!" and then I would reply "Yeah it was great!!! 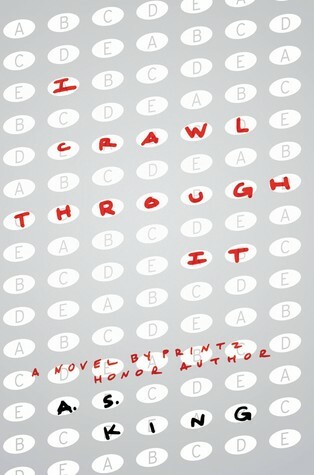 Have you read the book it was also great!!" and then they would then reply with whether they had read it or not and then we would talk about the movie or the book or something else and you get the gist. (Also I usually don't use 'great' as an adjective in conversation I don't know why I'm terrible at imitating myself.) Anyway, there was just a period of time where I was really obsessed with Life of Pi. I think it's because it took me a week to watch the two hour movie and then we watched it again in some class in school and then I read the book some time in between those two occurrences and so I was so enmeshed in the story that I just didn't let go of it and I got obsessed and I was a little untethered when I branched out and was like "hey I should read another Yann Martel book" and so I read Beatrice and Virgil but I was still lowkey thinking in his writing style all the time (does that happen to any of you? when you finish a book and you think in that author's writing style?). Anyway, the movie hype died down and I regained my sense of reality and people talked about it less frequently and so I also talked about it less frequently and while it remains a book I love, I definitely have not talked about it in a while. What books do you really love? Ok, so I got really excited last night about starting this book, and I thought to myself, "I should do a Stuffed Animal Saturday post tomorrow!" Cue me waking up and realizing it was actually Sunday. I blame spring break for my complete lack of awareness of time. Anyway, Sloth was really excited and still wanted to do the post, and how could I deny Sloth making his return to the blog for another week? I couldn't. And so here we are: Stuffed Animal Sunday! First order of business is to introduce Sloth's new sloth friend! His name is French Fry, and he's a nice little sloth. French Fry isn't quite as adventurous as Sloth, but he still loves to read! This Sunday, we're reading Tell Me Three Things by Julie Buxbaum! 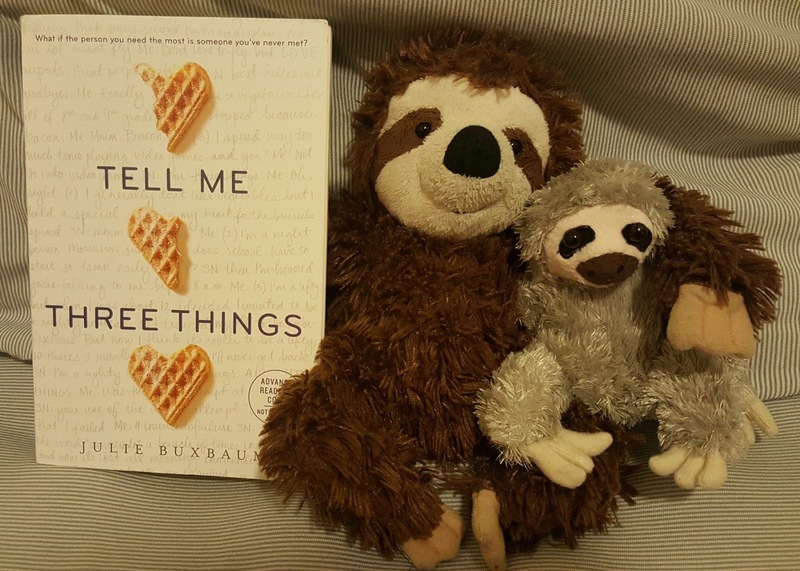 So far: Sloth and I got Tell Me Three Things at Yallfest a few months back. (I will eventually make a post about Yallfest. I promise.) Since things are slowing down for the school year, with spring break and all my show commitments coming to an end, we finally got a chance to dive into it! So far, Sloth and French Fry really like it! It's a good mix of heartfelt and light hearted, and we're excited to keep reading! Sneak peek: Since I'm actually writing this after reading more than just the blurb, I could pick something from farther into the book; however, the very first paragraph is so compelling that I knew I wanted to use it for this post right from the beginning - after I got Sloth and French Fry's approval, of course. Seven hundred and thirty-three days after my mom died, forty-five days after my dad eloped with a stranger he met on the Internet, thirty days after we then up and moved to California, and only seven days after starting as a junior at a brand-new school where I know approximately no one, an email arrives. Which would be weird, an anonymous letter just popping up like that in my in-box, signed with the bizarre alias Somebody Nobody, no less, except my life has become to unrecognizable lately that nothing feels shocking anymore. It took until now - seven hundred and thirty-three whole days in which I've felt the opposite of normal - for me to discover this one important life lesson: turns out you can grow immune to weird. 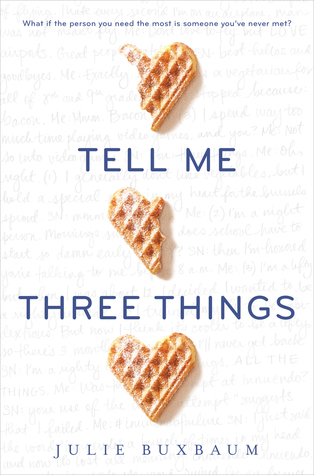 Tell Me Three Things comes out on April 5th, so look out for a review soon! I usually don't write reviews directly after I finish a book, mostly because I need some time to really think about how I feel about it but also because I'm such a procrastinator that I always put it off. But today, the day I have finished reading The Blood of Olympus only minutes ago, I must write my review because I have a lot of feels that need to come out right now. It's been a while since I read The House of Hades, or any of the Percy Jackson or Heroes of Olympus books for that matter. Once I started reading The Blood of Olympus after waiting such a long time to do so, I remembered one thing that always made me reluctant to read these books without brushing up on the last ones: Rick Riordan doesn't really do the whole casually remind you what happened in the previous books right away thing, which is great if you just read the last book, but is sort of disorienting after over two years away. Eventually I remembered what was going on, but it took a while. It was really nice to dive into this book and be comforted by the fact that it was as fun and witty as I remembered all these books being, especially with some old friends. I will forever love how well Rick Riordan balances action with heartfelt moments in his books. It's just so perfect, and I can't get over it. For real. Overall, I feel like this was an excellent ending to the series (with an exception that I will expand on in the spoilery section), giving closure on almost everything that has been building up over the 5-10 book story arc for these characters. It's sort of bittersweet to say goodbye to these characters, but it has been such a thrilling ride, and I have a feeling we'll be seeing more of them at some point, even if it's just a short story. I highly recommend both the Percy Jackson and the Olympians series and the Heroes of Olympus series for those who have not read them! They are superb and worth every moment spent reading them. Now for the spoilery feels. YOU HAVE BEEN WARNED. May also contain spoilers for The Legend of Korra television series. Honestly, I feel like I've been Rick-rolled with that ending though. Don't get me wrong, I'm pretty happy with the ending, it's just that after ten books (granted, five with this character - although Calypso has been around since Sea of Monsters) I wanted a little more closure on Leo. Everyone else? They all get pretty solid closure! Even Nico gets a potential love interest (honestly, so happy about this he deserves love). Reyna, could have gotten a little more but she was sort of a minor character for most of the series, so I guess it's ok. But Leo?! Why is it that Leo always gets the short end of the stick in this series. I feel like he's always forgotten, like Rick Riordan actually forgot to write Leo's ending and then was like, "OH, YEA! THAT OTHER CHARACTER!" Seriously. Couldn't have gotten a nice reunion with the other demigods? This is like The Legend of Korra all over again. So, yea, I have a lot of feels about this. I was not prepared for such an abrupt ending. Yes, I am content with this ending, I just feel like it could have been slightly more perfect with just a little bit more. At least this Rick will never make me cry, say goodbye, tell me lies, or hurt me. What did you think about The Blood of Olympus?